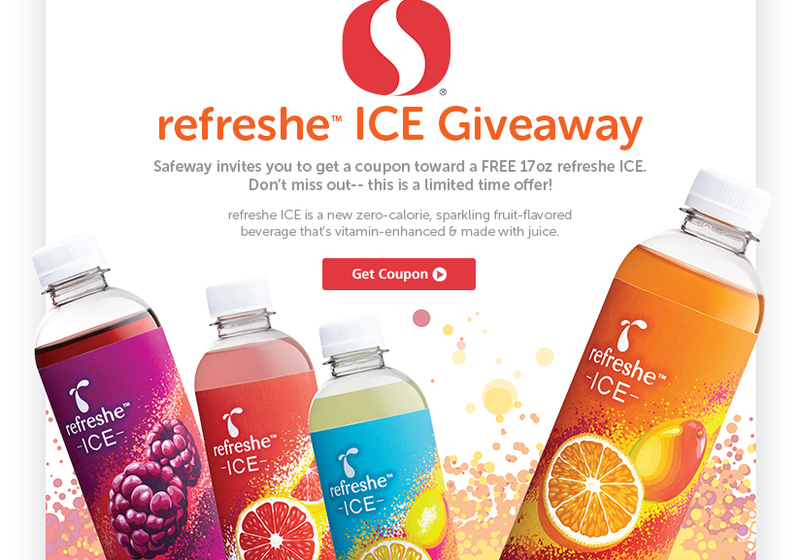 Free Refreshe Ice Giveaway @ Safeway!! Go HERE to get a coupon for a FREE Refreshe Ice mailed to you! Coupon is redeemable at Safeway brand stores!! This offer is only available to the first 20,000 participants.